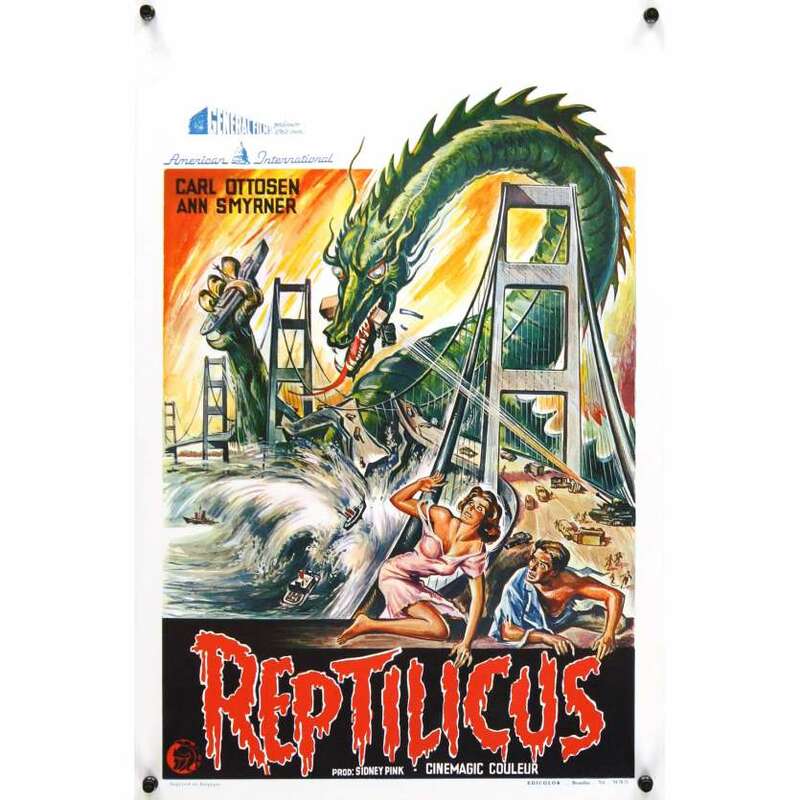 > Movie Posters>Film Posters>Belgian Posters>REPTILICUS Belgian '62 indestructible 50 million year-old giant lizard destroys bridge! REPTILICUS Belgian '62 indestructible 50 million year-old giant lizard destroys bridge! An Original Vintage Theater-Used Unfolded Belgian Movie Poster (measures 14 1/4" x 21 1/4") Condition: Very Good to Excellent (C7) See our 10 GRADE SYSTEM Page for more information.